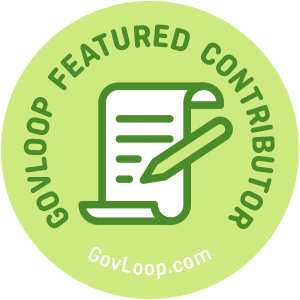 Last month, we put out a call for our 17th round of GovLoop Featured Contributors – and you responded with amazing enthusiasm. Dozens of people from all walks of government and industry life sent in great ideas for posts about everything from staying relevant as a baby boomer to how cities can become better connected. It was a tough process, but we were able to whittle down the applications to the following writers. Read on to meet the new GovLoop Featured Contributors, who will be posting once a week for the next three months. We’re excited to introduce you to them – and even more excited to read what they’ll be writing about. Want to be a featured contributors but didn’t make it this time or didn’t apply by the deadline? Don’t worry—we’ll be hosting this challenge every few months. Make sure to check back October 2018. Jonathan Alboum: Jonathan Alboum is a digital transformation leader with experience in the private and public sectors. 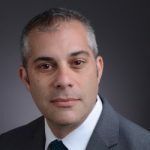 He is currently the Public Sector CTO for Veritas Technologies, where he helps clients manage, secure and identify business value from data on premises or in multi-cloud environments. His Federal government tenure includes serving as the USDA CIO, where he led the development of the Department’s IT Modernization strategy, including Cloud computing, network modernization, and enhanced cyber security for a $3 billion annual technology spend. In addition, he was a leader in USDA’s Acquisition community, supporting the oversight, assessment, and planning of a portfolio, worth $6 billion annually. Alboum also served in multiple executive positions at GSA and the USDA Food and Nutrition Service. John Burton: John Burton is an economist for the Ontario government who works on issues related to the financial health and sustainability of the province’s municipalities. He is passionate about building strong workplace cultures that empower individuals and capitalize on their diverse strengths and backgrounds. Currently, he chairs the “Our Work” subcommittee of the Ministry of Finance’s Inclusion Committee. The subcommittee focuses on inclusive practices in the workplace and adapting the way we work to maximize the contributions and development of employees. Outside of work, John enjoys exploring his adopted home of Toronto with his boyfriend and fur kid (a wheaten terrier). Adam Carnow: Adam Carnow is a Community Evangelist at Esri, the global market leader in location intelligence. He is a keynote speaker, thought leader and technology evangelist helping organizations get the most out of their GIS investment, and make a difference in their communities. He helps organizations transform from mapmakers into solution providers, through the application of location intelligence, to deliver spatial insight. Mr. Carnow has over 25 years of experience as a GIS practitioner in the public and private sectors, as well as academia. He holds a BA in Geography, and a MA in Urban and Regional Planning from the University of Florida, and has achieved certification as an Urban Planner (AICP) and GIS Professional (GISP). Anita Davis: Anita Davis is a support specialist, trainer, blogger and communicator. Her strong sense of positivity has led her through a circuitous career path that includes work in the areas of radio broadcasting, advertising production, technical support, customer service, luxury vacation rental management, webmaster, new media, and public relations. Each day provides an opportunity to learn something new, and Anita strongly believes in sharing the excitement of discovery by supporting digital inclusion in her community. She feels privileged to be engaged in work that helps to fulfill this promise. Jennifer Houlihan: Jennifer Houlihan is Managing Director of the Austin Forum on Technology & Society, a nonprofit organization that explores the impact of technology on society. 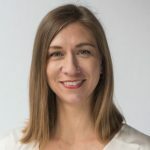 She also serves as Managing Director of Austin CityUP, a a smart city consortium of companies, organizations, and individuals collaborating to advance Austin through digital technologies, data collection, analytics, and modeling. Previously, she was executive director of Austin Music People, the trade association for Austin’s $2 billion music industry. She is an award-winning public speaker and writer, with a BS in Communications from Northwestern University and a MA in Social Psychology from Pepperdine University. 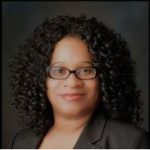 Cynthia Houston: Cynthia (Rimrodt) Houston has worked for the federal government as both civilian and contractor since her first Summer Hire job at age 13 – years ago in Okinawa, Japan. She considers the Defense Department her “home” agency, having spent most of her career there in program management, public affairs and strategic communications positions. She is a self-proclaimed technology geek – not the IT kind of technology per se, but more the “molasses-fed bioslurry that can clean explosives from the soil on military installations” kind of technology. That being said, she currently supports the Department of State in IT Strategic Planning. Robert Klopp: Rob Klopp is an executive specializing in IT Modernization. As the former CIO and Deputy Commissioner of Systems at the Social Security Administration and recently at the State of California’s Department of Healthcare Services, Rob led efforts to plan, and then execute very large modernization efforts. He brings a Silicon Valley sensibility to these engagements along with an understanding of the current state of the art. In other words, he knows what “modern IT” means today. Leslie Labrecque: Leslie Labrecque has worked with technology and the web for over 20 years. 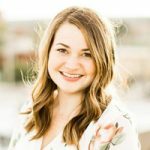 She is currently employed at the City of Boulder as the Senior Webmaster and she serves on the board of directors for the National Association of Government Web Professionals (NAGW). She loves working with technology and the challenges associated with finding the best tool for the job. She holds a B.S. in Business Administration and Business Management and a M.S. in Computer Information Technology. Kamana Mathur: Kamana Mathur is the Community Relations Officer for U.S. Citizenship and Immigration Services (USCIS), District 26. This includes Guam, CNMI, and Hawaii. She previously served as an Asylum Officer in the Washington, DC area. Prior to joining USCIS, Kamana practiced Immigration Law in Pittsburgh, PA and taught at Chatham and Carnegie Mellon Universities. She also served as a Foreign Service Officer with the U.S. Department of State. Kamana was born in India. Writing is her passion – she started her post-college career as a journalist with a daily newspaper, and has written articles, op-eds, and blogs on a variety of topics. 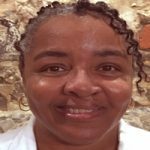 Sherrie Mitchell: Sherrie P. Mitchell is a career employee with the Veterans Benefits Administration (VBA) where she is an Assistant Veterans Service Center Manager. She exhibits a robust commitment to nurturing potential leaders and mentors for several agency leadership programs. A 2017 graduate of VBA’s Aspiring Senior Leaders Practicum, Sherrie holds a Bachelor’s Degree in Political Science from the University of Lynchburg and currently studies Professional and Executive Coaching at Lewis University. Active in her community, she also serves on her local Planning Commission. Originally from coastal Virginia, Sherrie enjoys visiting the beach, growing hot peppers, and camping in vintage travel trailers. You can follow her on Twitter @spoinmitch. Kimberly Nuckles: Kimberly Nuckles is a Continuous Improvement Coach for the state of Minnesota’s Pollution Control Agency. She has over 15 years of executive and legislative branch experience, as well as ten years of experience working in the nonprofit sector. She earned her B.A. in Political Science from the University of Minnesota and her M.A. in Organizational Management from Concordia University in St. Paul. At home, she’s the mother of two teen girls, and cares for her menagerie of two cats, a dog, and a cockatiel. Her interests include photography, gardening, volunteering at a parrot sanctuary, and various outdoor activities. Wanda Pemberton: Wanda Pemberton is a Program Development Specialist with the Environmental Protection Agency. She currently manages projects related organizational development and regulatory support, but has also held positions in the areas of Finance, Facilities Management, and Human Resources. Having a wide variety of career experiences has allowed Wanda to refine her expertise in the areas of employee development, organizational development, performance management, and self-marketing. Wanda has a Bachelor of Arts degree in Sociology, an M.B.A., with a specialization in Organizational Psychology and Development, and a certificate in Human Resource Management. Ashley Robinson Benson is the federal marketing and communications lead at Qualtrics, a SaaS company that helps government improve customer and employee experiences and conduct better research. She has worked in various capacities from local to international politics, but the common thread is a fascination with the changing ways we communicate about policy and governance. When she isn’t geeking out with government technologists, you can find her reading a book, in a dance class, at a sewing machine, rock climbing with her husband, or practicing Arabic. She’s on Twitter: @ashleyrobbenson. 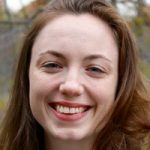 Susanna Ronalds-Hannon: Susanna Ronalds-Hannon works for the City of Boston’s Department of Innovation and Technology as part of a cross-functional Special Projects team. The team is responsible for working with departments to think strategically and holistically about how technology can further their mission and programmatic goals; facilitating process improvement and clarification prior to digitization; and project managing technology implementation projects. For this 17th season of the Featured Contributors Program, she will be collaborating with various colleagues to serve up some diverse perspectives out of Boston. You can follow her on Twitter @susannakelsi. 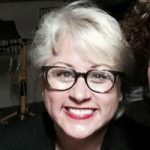 Jennifer Singleton: Jennifer Singleton works in corporate communications at the United States Postal Service, where she researches and writes news stories targeted to postal employees, and produces internal communications products. Jennifer has 10 years of experience implementing communication strategies in the federal government and private sector. She is interested in learning ways to more effectively communicate with audiences, and believes that great storytelling leads to increased reader engagement. Jennifer enjoys sharing her love of communications techniques and serves as an adjunct writing instructor. She holds a master’s degree in communications with a minor in public relations from Southern New Hampshire University. 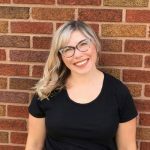 Kelly Stec: Kelly Stec is a third-year PhD student in Education Policy at Michigan State University. Her primary areas of policy interest include education, labor, LGBTQA+ issues, mental health, and sexual assault prevention. Kelly is currently on political leave from her role as a Legislative Director at the Michigan State House of Representatives to work for the Democratic Coordinated Campaign in Macomb County. She is also a research assistant at MSU and serves as a Vice President of AFT-MI. To hear her unfiltered thoughts on politics, potatoes, and anything else going on in the world, follow her on Twitter @kelstec. Ed Toner: Ed Toner was appointed by Governor Pete Ricketts as Chief Information Officer for the State of Nebraska on June 9th, 2015. He has spent the last 20+ years in the Information Technology field, and has held IT leadership positions at both First Data and TD Ameritrade in Omaha, NE. Since taking over as Nebraska’s chief information officer, Ed Toner has consolidated key information technology systems, resources and services which has positioned the state to provide quality support at lower costs earning him the StateScoop 2016 National “Up and Comer Award” and the 2017 as well as the 2018 “State Executive of the Year Award”. Joyce Warner: Joyce Warner is a senior non-profit management professional with over 20 years of progressive leadership experience. In her current position, Joyce serves as Executive Director of FEEA, The Federal Employee Education and Assistance Fund, a national 501(c) 3. Previously Joyce served as Executive Vice President of IREX, an international development organization. Joyce has served on a number of nonprofit boards, has her MBA from VA Tech, her MA from American University, and BA from Stony Brook University. She is a Certified Association Executive (CAE) and Senior Professional in Human Resources (SPHR). She’s on Twitter at @fedshelpingfeds and @joycewarner. Laura Wilcox: Laura is a young professional with a knack for all things creative. 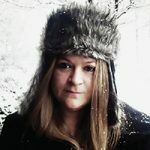 She is an award-winning graphic designer, two-time published author, avid WordPress blogger and former public relations practitioner based in Oklahoma City. 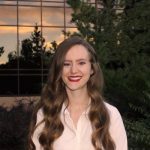 Laura jumped to the public sector in 2017 and presently serves as the Graphic Design Coordinator at the Oklahoma Health Care Authority, the state agency responsible for administering Medicaid services to more than one million Oklahomans. Off the clock, you’ll find her testing out new recipes in the kitchen, cheering on her alma mater (Boomer Sooner!) and exploring the city with her pup, Rufus. Craig Fischer is a Program Manager in the Office of Financial Innovation and Transformation (FIT) within the Bureau of Fiscal Service. Craig leads FIT’s innovation portfolio, where he and his team identify and pursue emerging trends and technologies that may have applicability to the financial management community. Prior to FIT, Craig held positions with a “Big Four” consulting firm, the Chief Financial Officer’s (CFO) Council, House Committee on Oversight and Government Reform and the Government Accountability Office (GAO). 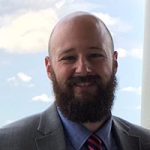 Justin Marsico is a senior policy analyst at the Treasury Department, where he founded a federal spending website called the Data Lab, and leads a research and analytics team using data to improve programs and operations. Justin previously served as a senior advisor in Inspector General’s office at the Department of Commerce, where he investigated ethics matters and employee misconduct. In addition, Justin worked as an analyst at the Consumer Financial Protection Bureau and previously at Treasury as an international economist. 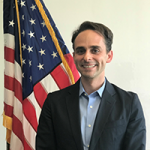 Shayne L. Martin is a Public Affairs Specialist and External Affairs expert at the Bureau of the Fiscal Service, U.S. Department of the Treasury, where he handles the Innovation Portfolio Public Affairs Efforts to include being a spokesperson on a number of bureau wide programs and priorities. 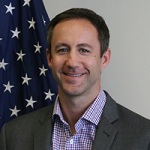 Shayne has previously served as the Director of External Affairs for the Section 809 Panel’s efforts to streamline the rules and laws applicable to defense acquisition, as the Communications Director for Congressman John Ratcliffe of Texas, Press Secretary for Congressman Tom Latham of Iowa, and as an U.S. Army Officer. So excited for this cohort!